This 8 foot Rectangular Aluminum Picnic Table '2BG' model is made from bolted 2 3/8" high strength galvanized tube and cross braces are 1 5/16" O.D. galvanized tube and seat brackets are 10 gauge galvanized steel. Tops and seats are light weight durable anodized aluminum. 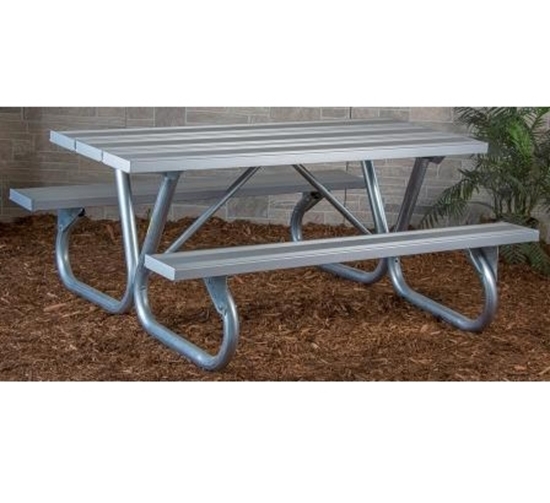 Our aluminum picnic tables are found in parks and schools lasting for years.